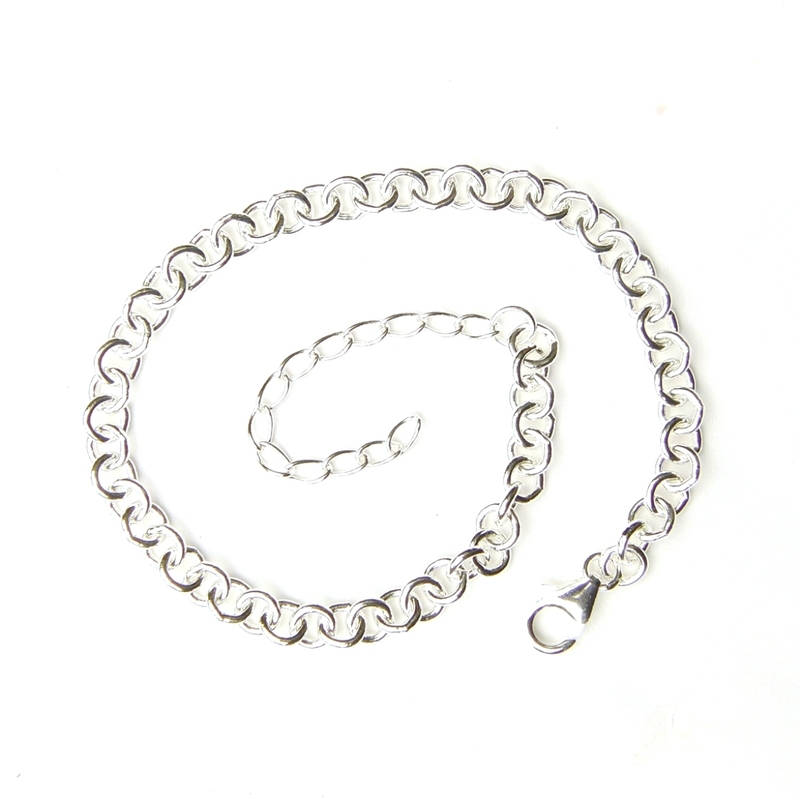 Beautiful Heavy Weight Silver Charm Bracelet with nice size links to put your charms on. This Beautiful Heavy Weight Charm Bracelet is perfect to be worn alone as it looks really nice or used as a charm bracelet. It has nice large links to add your charms too and a very high polish so looks really stunning and it is 7 to 9 inches long. This website is strictly for approved Wholesale customers only, if you are looking to purchase this Beautiful Heavy Weight Charm Bracelet from a retail store, please visit Shooting Star.